Want a beautiful finished basement that looks expensive without the big price tag? There are ways to make renovations more affordable without sacrificing the final results. Use these tips to make basement development Calgary look more expensive. High-end homes often feature neutrals, which lend a clutter-free, calm, classic feel. Give your basement a high-style feel by choosing neutrals during Calgary basement development for things that are harder and more costly to update, like upholstery, floors, and fixtures. Neutrals make a great base for the space, but don’t stop there; add contrasting elements during home renovations Calgary. Choose bold accents that pop against the neutral background and provide eye-catching colour and texture. Take basement walls from boring to interesting with a simple trick: add narrow strips of moulding to create a panelled look. Work with a renovation contractor to install a symmetrical design that is pleasing to the eye. look more expensive than they are. Talk with your renovation contractor about flooring options to figure out what will work best for the space. The ceiling, walls, and floor are the main part of basement development Calgary, but once they are taken care of you’ll need to furnish the space. Try looking for pieces that are in good condition at thrift stores, than give them a fresh coat of paint. 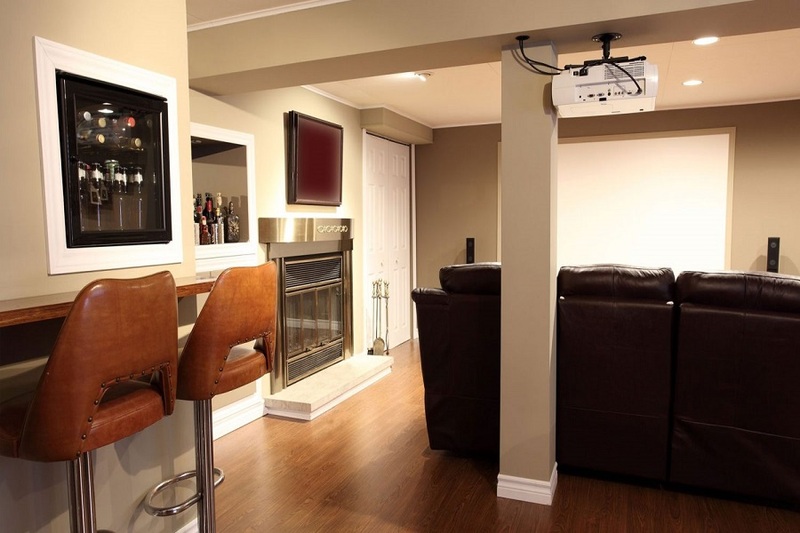 Calgary basement development is a great way to create a beautiful, usable space. Use these tips to make results look more expensive.